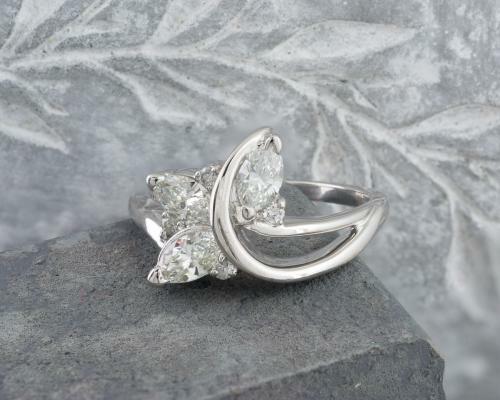 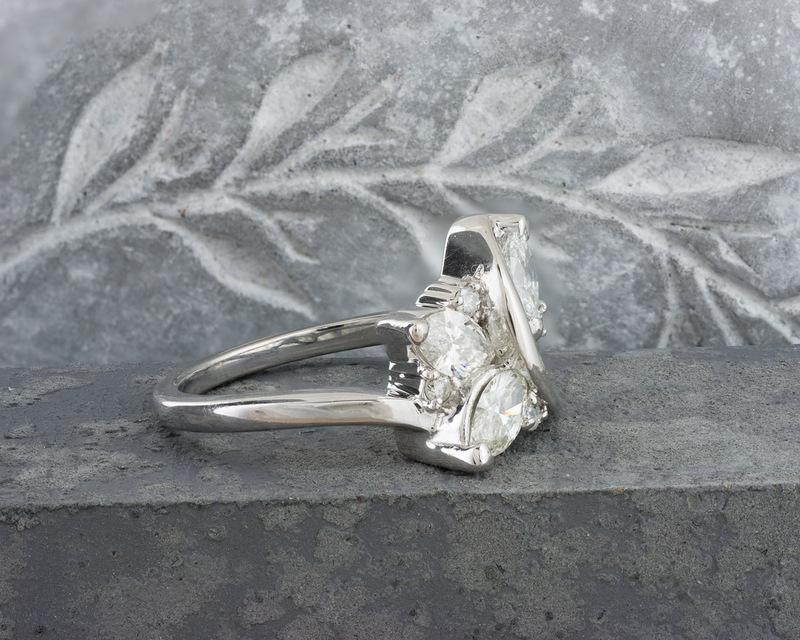 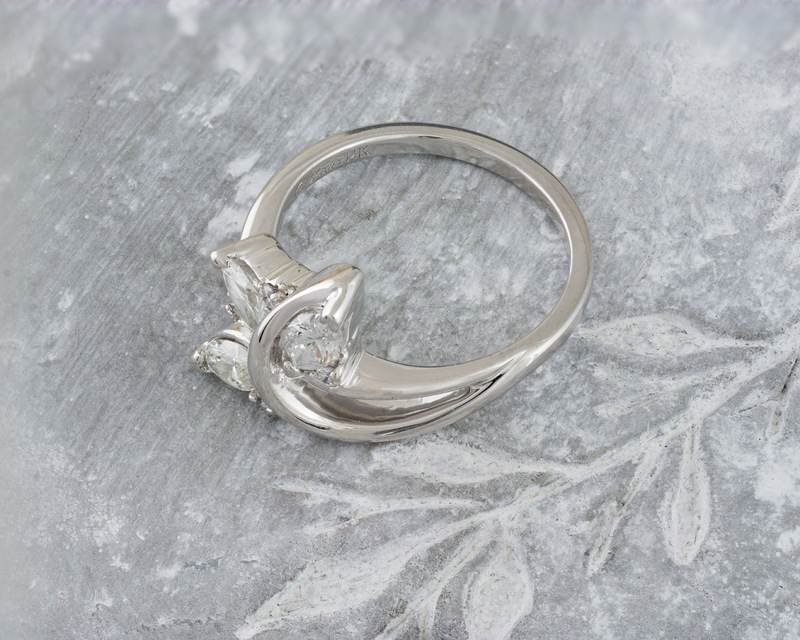 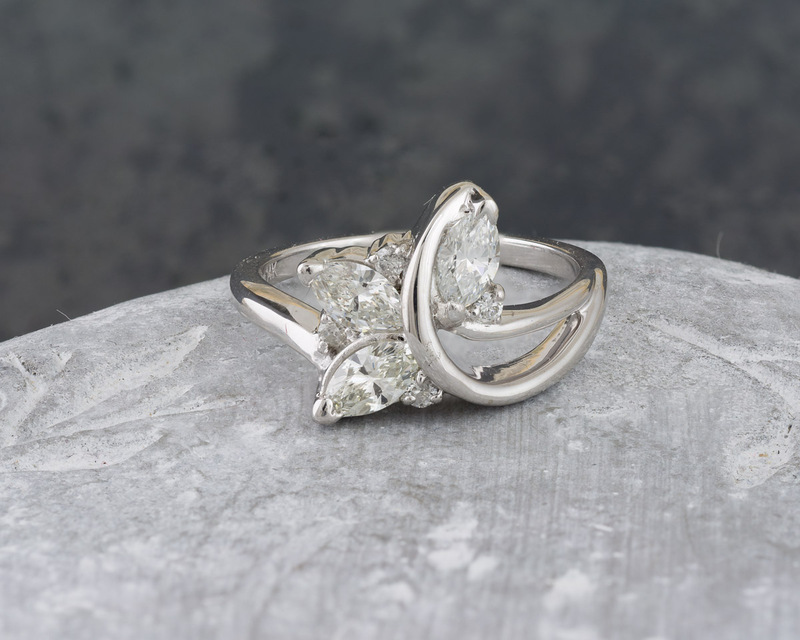 This one-of-a-kind ring has a lovely nature-inspired budding leaf design in white gold. Round brilliant diamonds are nestled between Marquise diamonds to approximate an elegant sprig and vine pattern. 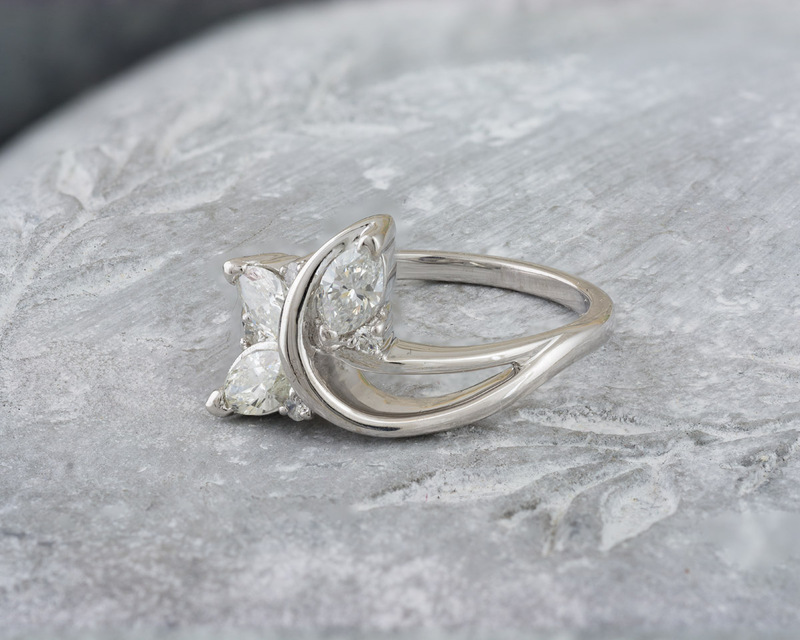 The fluidity of the lines, along with the ring’s delicate undertones are in harmony with its nature-theme.